From Tiger's Walk to Rolling Toomer's Corner, Auburn is the place to be of college football Saturday. Plus, lets not forget the southern hospitality and the southern belles in Auburn, Alabama. One of the few college facilities that have enough parking on campus. Most organized tailgating in the country. And this is the last year to see the College Football Hall of Fame in South Bend. Most elaborate tailgating in the country. Setting up chandeliers for tailgating and then heavy drinking, and finally kicking a flagpole for good luck. #1 in Wierd. Tailgating at LSU start early and end late. Loudest stadium in the country. 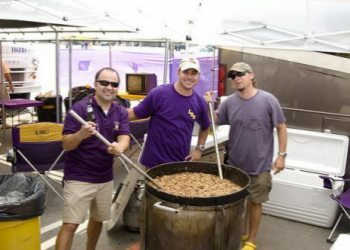 Fans bring th Widest range of tailgating grub which include Jambalaya, Cajun sausage, and alligator stew. Ohio Stadium is also known as The Horseshoe and is recognized of one of the best college stadiums in the country. 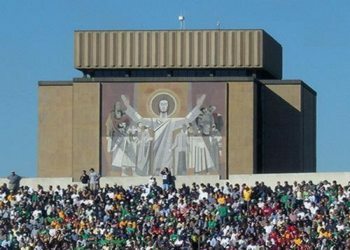 The stadium was added to the National Register of Historic Places by the National Park Service on March 22, 1974. Try to attend the Ohio State Marching Band Skull Session which starts two hours before kickoff of every home football game. Held in St. John Arena, the skull session is a popular concert/pep rally, with more than 10,000 fans in attendance. It fun, sun and football at the Swamp. Gator fans know who to throw a party for your closest 100,000 Florida Gator Friends. You can crash with the students or rent parking at a house on University Avenue. Watch out for carrying beer on to the streets, BIG FINE. According to the 2010 census and Bleacher Report, Ann Arbor becomes the second-largest city in the state every Saturday during football season. Every football Saturday, over 100,000 Michigan fans come to Ann Arbor which makes for one crazy tailgate. If you�re not in Michigan Blue, you better get on home. Huskers football is an all-town, all-day festival with more than enough beer and brats to go around. Fans don�t just set up tents for game day; they head downtown to the Historic Haymarket, where the party just keeps going and going.